I have been keeping a secret from you all…. I have been selling some of my stuff to a Consignment Shop in Corvallis, Oregon. 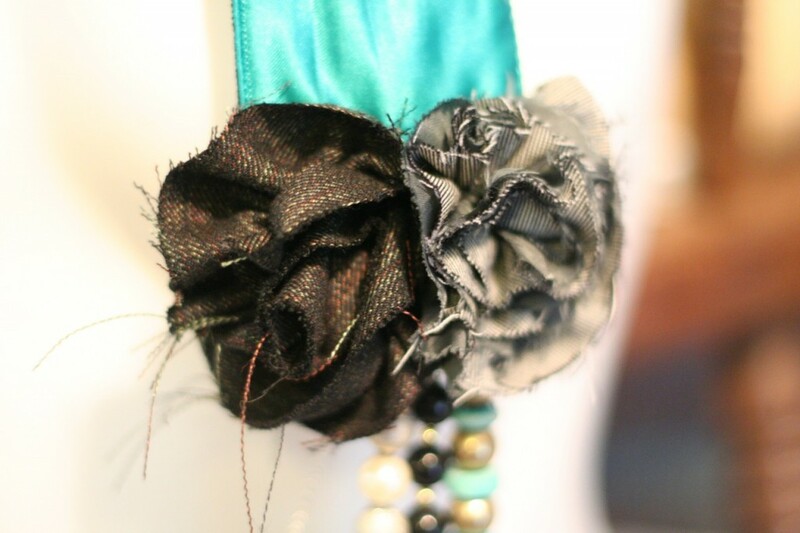 Second Glance is the name and they have amazing and gently worn clothes. If you live in the area, please check them out. They have two shops, one for the more adult women and one for the younger ladies. My daughters loved both stores. Last night the store gave me some broken and unusable jewelry that they would like me to use to make more of those collar necklaces and other jewelry. 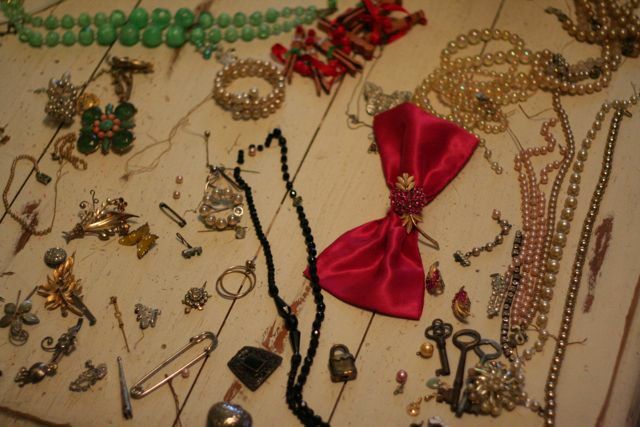 It was so fun looking through the vintage jewelry, and I’m enjoying putting them together. Check back to see the creations I come up with. 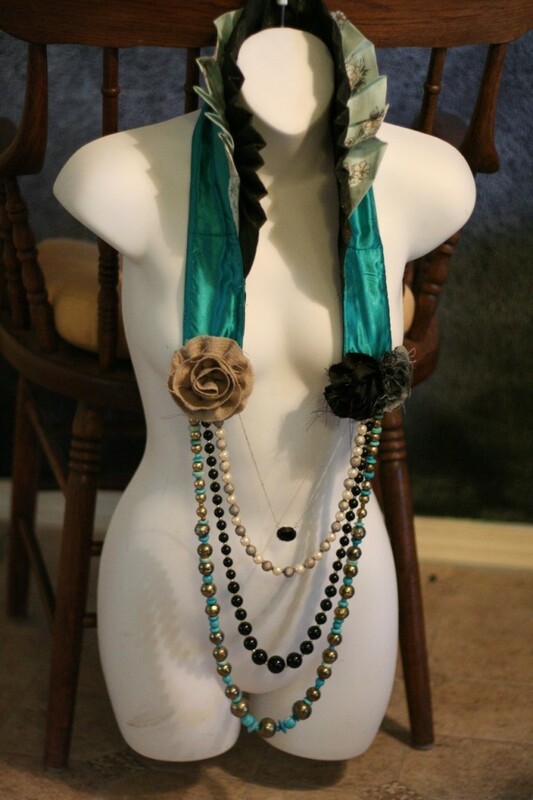 This entry was posted in odds and ends, Recycled, repurpose, vintage on June 9, 2010 by Deanna. 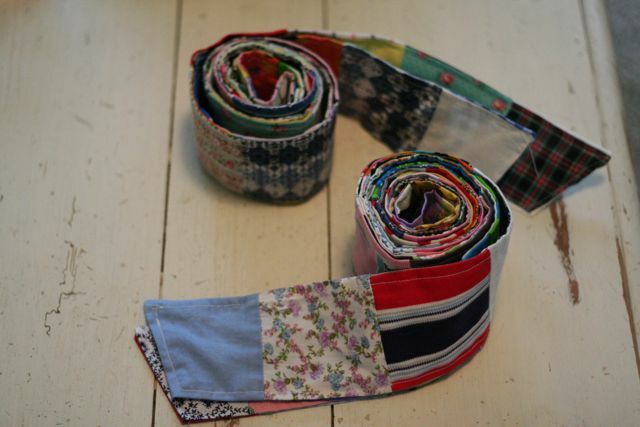 I had this vintage section of a quilt that was never finished and I never could figure out what I should do with it. I think sashes are the perfect summer accessory so I figured why not separate it into three sections to make a few sashes. I love how they turned out. You can’t find fabric like that anymore. Add a flower and its perfect! This entry was posted in DIY, repurpose, vintage on June 8, 2010 by Deanna. 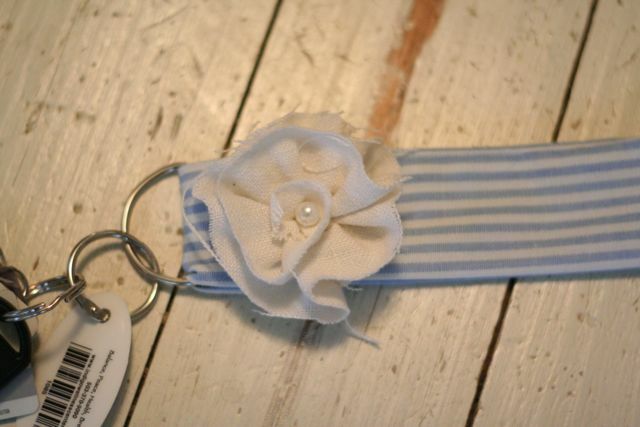 I was looking through some of my favorite blogs and came across this tutorial from Craftaholics Anonymous, Keyring Wristlet. 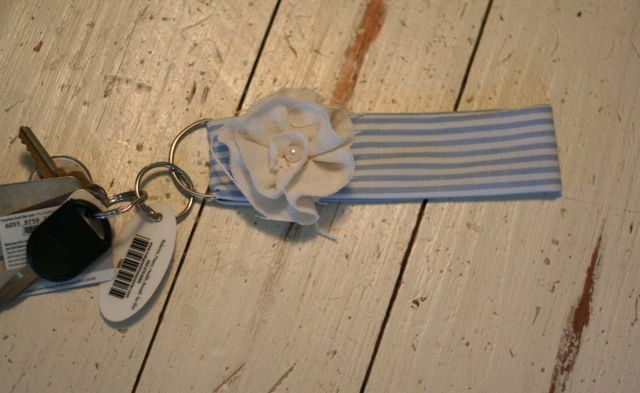 I love seeing the crafty things that Linda comes up with and the fact that I can never find my keys in my purse made this project an attractive and cheap alternative to a lanyard. This entry was posted in Check this out!, DIY, I made this!, repurpose, tutorial on June 1, 2010 by Deanna. 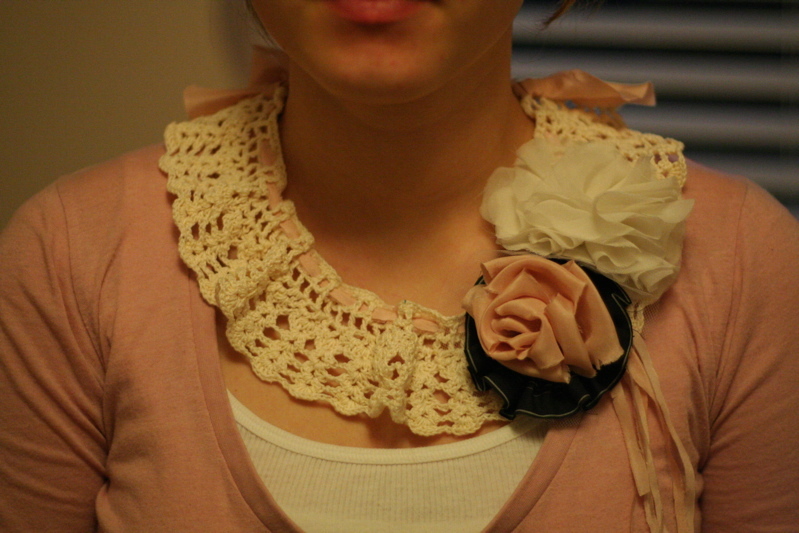 My Collar Necklace Is Finished! I got it finished! It seems like I have been working on this for too long, but it really has only been this week. I am sure its because of this mess that has been sitting in front of me all week. I have kind of taken over the house so I could work on this. Not that anyone has complained, thankfully! 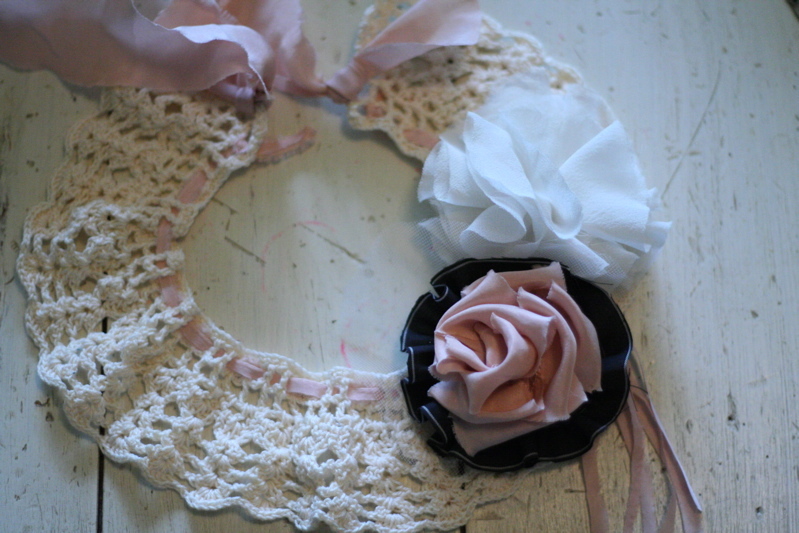 The collar section is made from pants, a shirt and scrap material. 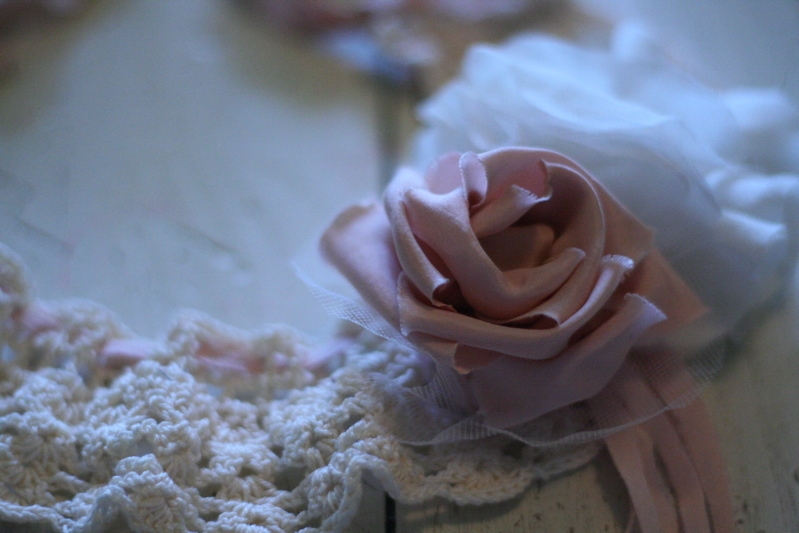 These flowers are from a pair of pants. 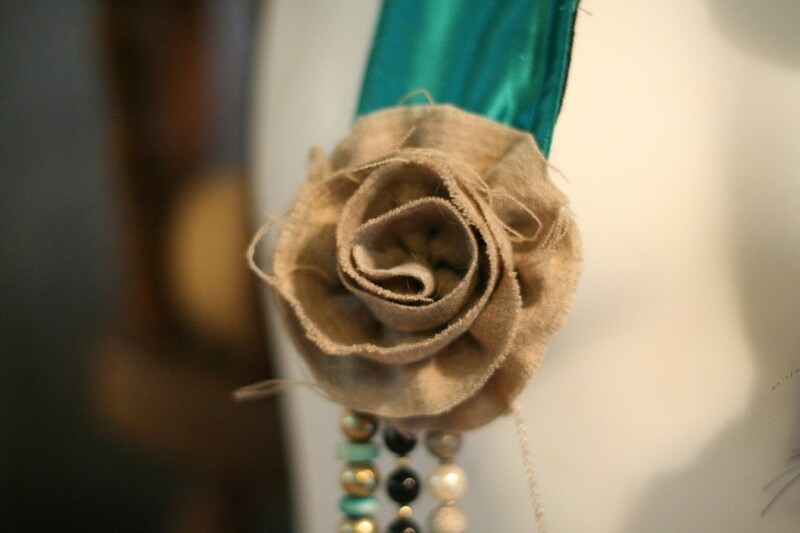 This flower is from a skirt. 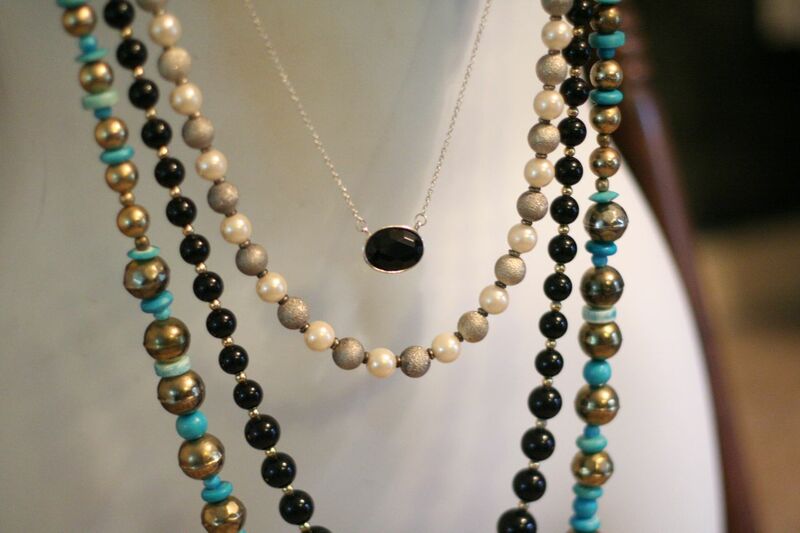 And all the necklaces were bought in a large jewelry lot from the Goodwill. 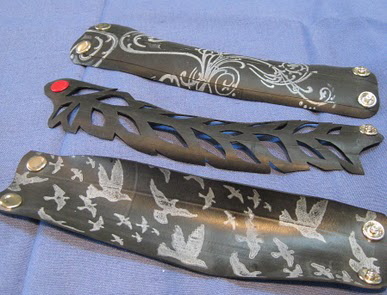 This entry was posted in Check this out!, I made this!, Recycled, repurpose, upcycle on May 28, 2010 by Deanna. 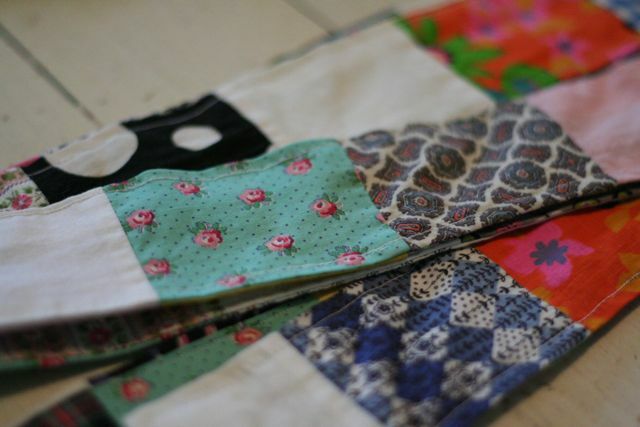 Anyone can do this, it takes no skill (unless you think using scissors is a skill) and besides knowing how to cut, all you really need is a sewing machine. Now don’t tell me you don’t know how to use a sewing machine because anyone can do this. Do you have a foot and two hands? 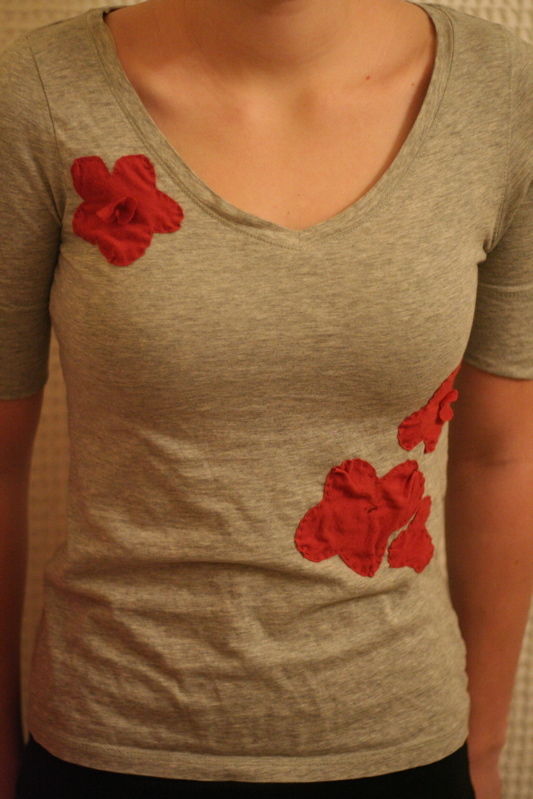 Than your set, just need to do a basic stitch and back stitch and you can make this shirt or a shirt like it. Isn’t it cute? I wasn’t prepared for this to turn out so cute so I didn’t take before pictures. I am going to make another one of these so I will do a detailed post on how to make your own in the next couple days. This entry was posted in Check this out!, DIY, I made this!, repurpose, upcycle on April 14, 2010 by Deanna. I was inspired by some pieces of jewelry I saw on Anthropologie and started pulling out all my lace, silk, and vintage crocheted thrift finds and just started playing around with how they would look with different things on them and I came up with this necklace. I quite like it! 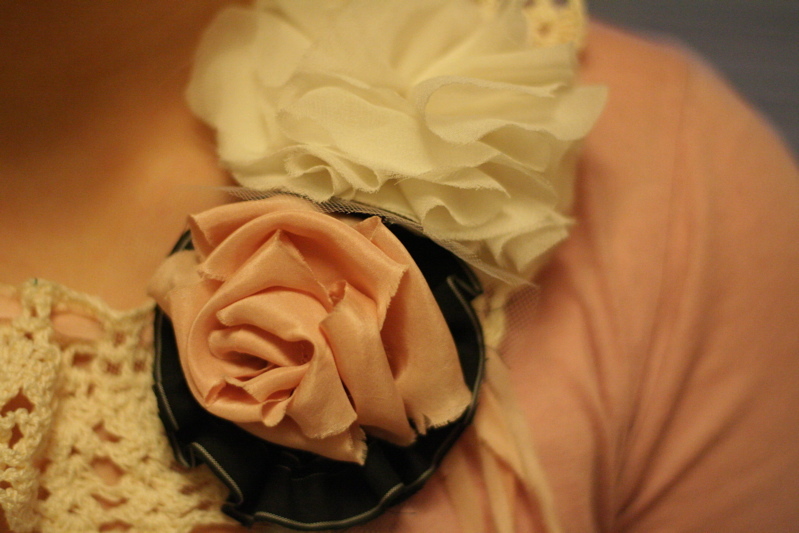 I almost sewed this rose on without the black material behind it, I am so glad I put the black, it adds such depth. I hope you are inspired by things you see. Most of the time its much easier than it looks, so give it a try! This entry was posted in Check this out!, DIY, I made this!, Recycled, repurpose, Thrift Finds, upcycle, vintage on April 9, 2010 by Deanna. My Thread & Needle Have Overcome the J Crew Challenge! Evan, You will be so proud of me and dang it, I am proud of myself! Can I be proud of myself? Is that a perfectly sane thing to feel about ones self? Well regardless I am so proud of myself. On Monday I was challenged to make this shirt from J Crew. 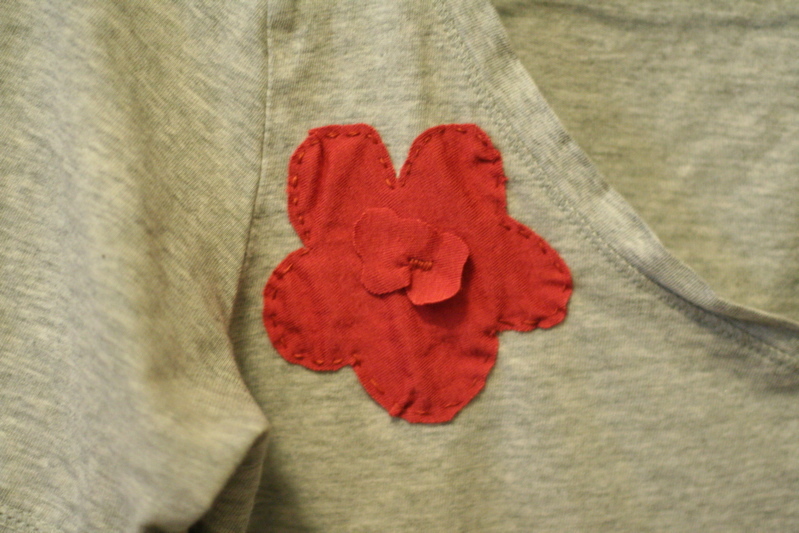 I took out the needle and thread and sewed my heart into a new shirt. 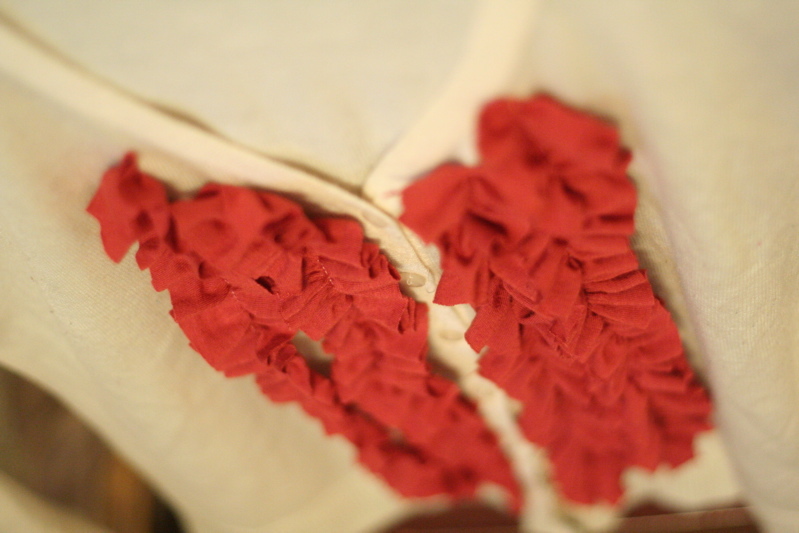 Ok I didn’t sew my actual heart into it, but I do not like to sew by hand but by golly I did it! And the next amazing fact….I actually like this shirt. I love how the flowers turned out! What do you think Evan? Be honest! This entry was posted in Check this out!, I made this!, repurpose, Thrift Finds, upcycle on March 10, 2010 by Deanna. To go with the cute shirt I have been challenged to make(but am not finished with) I decided to add some ruffles to an old sweater. 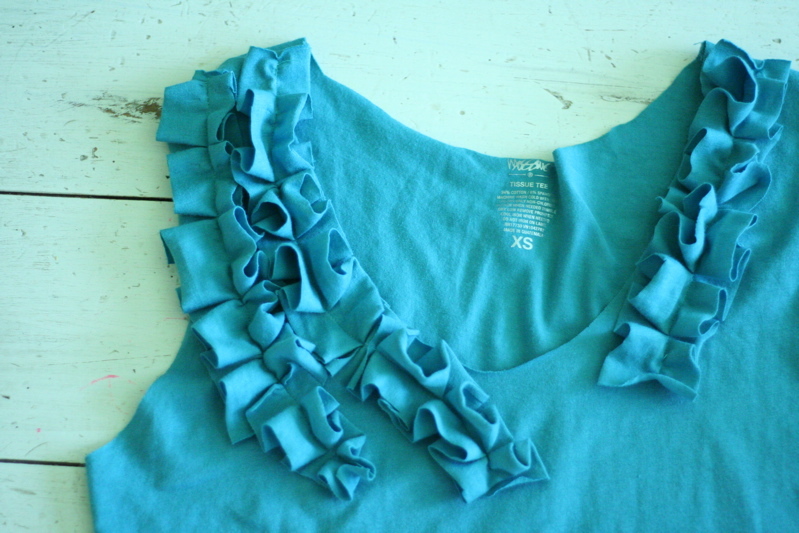 Making ruffles is super easy! Take strips of fabric of desired thickness, sew a loose stitch all the way down the middle of the strip, remember – DO NOT BACK STITCH! 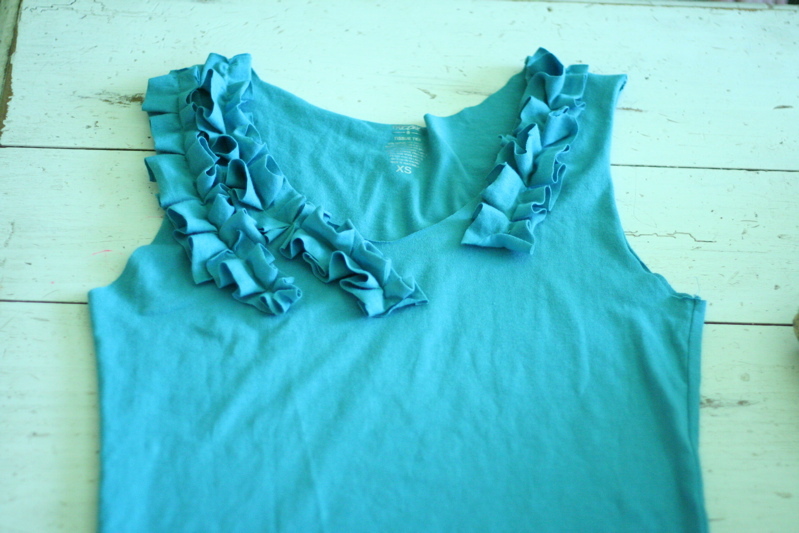 Then take those strips and pull loosely on one of the threads to make a ruffle. 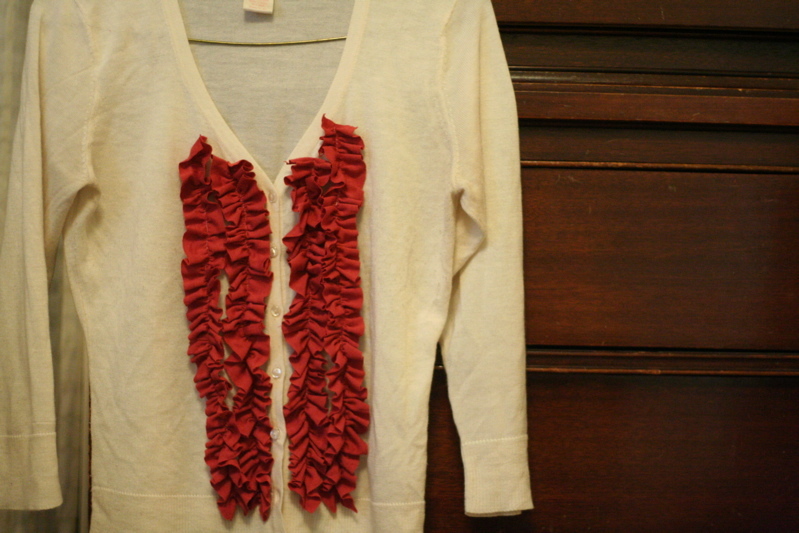 Then take those ruffle strips and pin to your sweater or garment of choice. Sew down the middle and take out the loose stitch if possible with a seam ripper. This entry was posted in Check this out!, DIY, I made this!, Recycled, repurpose, tutorial, upcycle on March 8, 2010 by Deanna. I was looking through the Anthropologie catalogue, as I normally do for ideas, and saw a pin tuck tank. I didn’t think it would be too tough and so I tried it on a shirt my daughter was getting rid of. 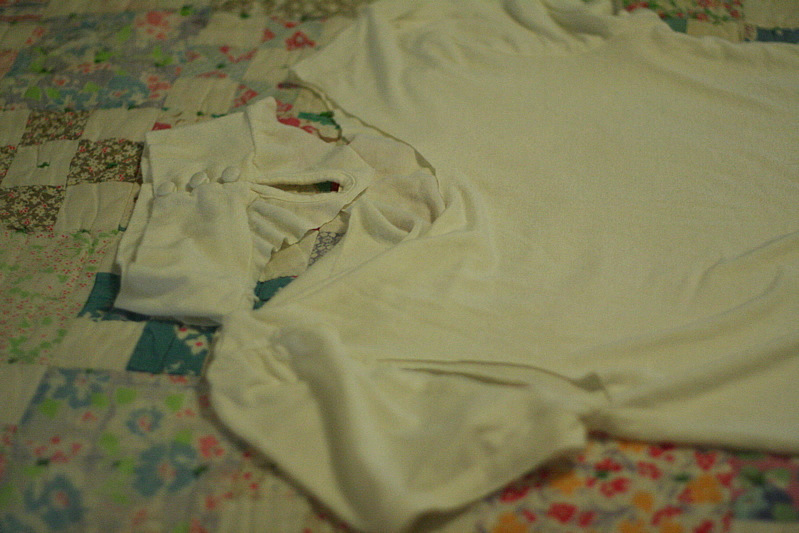 The shirt was a cotton but it was a stretchy smooth feeling cotton and sewing pin tucks in it was not the easiest. I forgot to take a before picture but as you can see it has a mock neck and sleeves. I sewed the shoulders and then to even out the bottom I sewed the bottom on the other side. This is picture shows the true color. Now I will be trying this with an old guys tee, I think it would give me more to work with. Then maybe I could get flutter sleeves and a cowl neck like the from Anthro. This entry was posted in Check this out!, DIY, Recycled, repurpose, upcycle on March 4, 2010 by Deanna.